As with any sport, snowboarding carries arisk of injury. Investing in some protective equipment BEFORE you get injured is the best way forward! 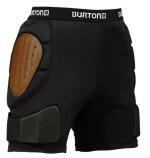 A good set of Impact Shorts offer great protection for beginners, freestyle snowboarding or anyone who wants some extra protection on those inevitable icy patches.